Dental implants have become the gold standard for teeth replacement. They provide arguably the best solution for regaining true dental function and the beauty of your smile. Call Lehman Waggener Dental in Santa Rosa for dental implants and restorations. Dental implants are convenient, comfortable, strong, and long-lasting. This advanced dental procedure has versatile applications as well. From single tooth replacement to full mouth restorations, dental implants provide a stable foundation for crowns, bridges, and full arch dentures. At Lehman Waggener Dental, we evaluate each patient’s needs on a case-by-case basis. Our first priority is addressing your immediate dental health, overall well-being, and candidacy for this beneficial procedure. For patients considering implant-based restorations in our Santa Rosa dental office, we take the time to listen to your concerns and expectations, and thoroughly explain available options, costs, and benefits. Patients who are missing teeth should consider dental implants to facilitate lasting, natural-looking, and high quality restorations. 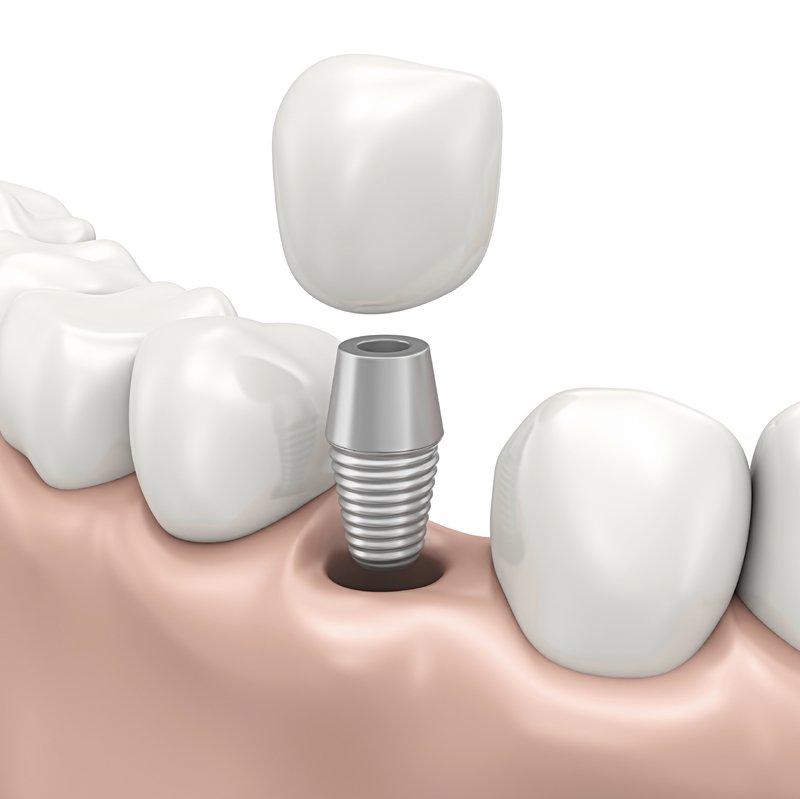 Dental implants are small posts, usually made of titanium, that are embedded in the bone. Once these posts are stable and integrated with the jawbone, the appropriate restorations are affixed to the posts, and the result is a stable bite and an improved smile. As opposed to other teeth replacement solutions, such as adhesive based dentures or partials, dental implants provide a much more stable and comfortable restoration. Patients report better chewing ability, digestion, and speech. There is no risk of slippage with dental implants, so patients do not experience denture-related embarrassment and discomfort, while their confidence and self-esteem is greatly increased. In addition to the functional and cosmetic advantages, dental implants replicate the tooth root, stimulating bone growth and preventing the loss of bone volume that leads to a sunken, more aged appearance. All-On-Four is a type of full arch restoration, where an entire upper or lower prosthesis (or both) is secured using only four dental implants. Permanent replacement teeth secured by implants are often referred to as hybrid denture. Patients who opt for this procedure may often receive their implants and a new set of replacement teeth all on the same day. If you are interested in more information on dental implants in Santa Rosa, we encourage you to contact us to set up a consultation. You may also request an appointment time online.